Blogs can be inspirational and informative. Over the years I’ve received some great ideas from bloggers.Here’s a list of blogs I enjoy. Please feel free to add your Aussie homeschool blog in my comments section. Well that’s me and I’ve been blogging since 2006. I blog about homeschooling in Australia, Charlotte Mason’s ideas, and general homeschooling in faith. Renelle has a very exquisite blog full of lots of beautiful crafty ideas, homeschool wisdom and shares what she is doing at home with her kids. She is a Charlotte Mason inspired homeschooler. “Finding beauty in the everyday” is her tagline and she blogs about sewing, mothering and homeschooling. She is a Charlotte Mason homeschooler. Carol from NSW has a beautiful blog full of thoughtful contemplations and inspiration. 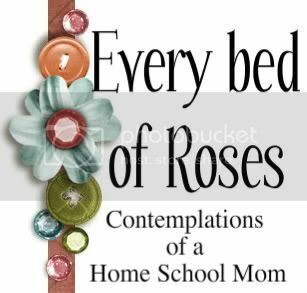 She is a Charlotte Mason homeschooler and has a great deal of wisdom to share. Barb is from rural Queensland. She has eight children and has been homeschooling for nearly 20 years. She is the founder of Mum Heart Conference in Australia. Jeanne from Victoria is a very smart lady. 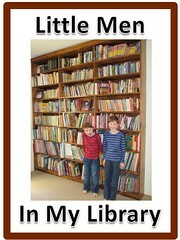 Her blog is very informative and will get you treasure hunting for some of her great book suggestions. She follows the Charlotte Mason style of homeschooling and is an active member of Ambleside Online. Chareen is a homeschool mum in Victoria. She has four children. This is a good blog for finding curriculum reviews and lesson ideas. Kendra is a mum from Tasmania who blogs about what her kids are up to. She is a second generation homeschooler. Belinda live up in the Top End of Australia. She is a woman of great character and will encourage you to work on character training with your kids. She was the keynote speaker at the Mumheart Conference 2012. Tracey is a former teacher and now homeschool mum in Queensland. Her blog is full of snippets from her homeschool. She shares in detail what homeschool looks like in their place. Tracey is an active member at Aussiehomeschool and gives lots of practical tips to help other mothers homeschool. Are You An Australian Homeschool Blogger? Please add your blog to my comments section. Thank you so much for featuring my blog 🙂 I feel so blessed to be included.